I know I just wrote a blog post with nearly the same headline less than two weeks ago, but here I go again: my latest book is now available for purchase. 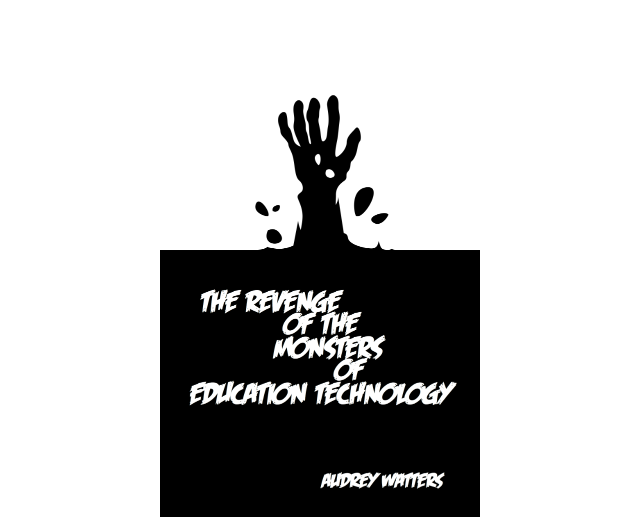 The Revenge of the Monsters of Education Technology is the sequel, if you will, to last year’s similarly titled book. And like The Monsters of Education Technology, this one is a collection of all the keynotes and talks I delivered in 2015 – eleven altogether, plus one essay I wrote specifically for this book. E-book versions are available for purchase via the usual online retailers: Amazon and Smashwords (for now. Wider distribution coming soon). Even better: you can buy from me directly via Gumroad. You can purchase a MOBI, ePUB, or PDF version for $4.99. As always, thanks for supporting my work.